����������� Today's Snack: The pompoms in this activity remind you of meatballs, if you're hungry (OK, REALLY hungry - LOL). Two celery stalks, held together, make a long cylinder kind of like a dry-erase marker. So since we're talking about hot-gluing pompoms to the tops of dry-erase markers to serve as a handy eraser, bake some freezer meatballs to dip in ketchup, and eat two celery stalks with a little ranch dip. Your tummy won't want to "erase" this healthy snack! Be sure to drink milk or water, too. Choose a local teacher to "bless"
Snack and beverage for a "school year launch party"
Here's an idea for a back-to-school service project that would be a blessing as school resumes, or any time, for that matter: adopt a teacher! Choose a classroom teacher and organize a mini "mission trip" into his or her classroom. Offer to be extra hands and feet to do those little extras that can make things so much more enjoyable in a classroom. Consider helping a kindergarten or first-grade teacher, or even a preschool teacher, especially in a low-income neighborhood, because in some ways they have the biggest challenge of all teachers - making those early educational experiences great. You can do a little fund-raising first if you need to. Make dry-mix snack bags and sell them, or wash cars, or walk dogs, or ask a local business to sponsor you. This works best as a two-week project. In the first week, meet the teacher in the classroom, have a quick tour, and find out what he or she needs. 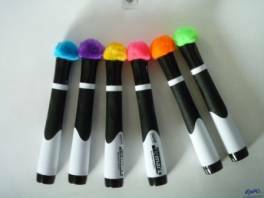 Maybe it's hot-gluing pompoms to the ends of dry-erase markers to be instant erasers. Or maybe it's punching holes in decks of math flash cards and connecting them with ring binders. Cutting out shapes for a bulletin board, counting out container lids as math manipulatives, or any number of other time-absorbing tasks would be a great boost to a teacher, to have extra hands do. Then fulfill the assigned tasks, and meet with the teacher, perhaps one week later, and give your classroom aids to him or her. Share a snack and beverage with the teacher as a "school year launch party," or a "mid-year pep-up." You won't believe how much this would mean to a teacher . . . so try it!